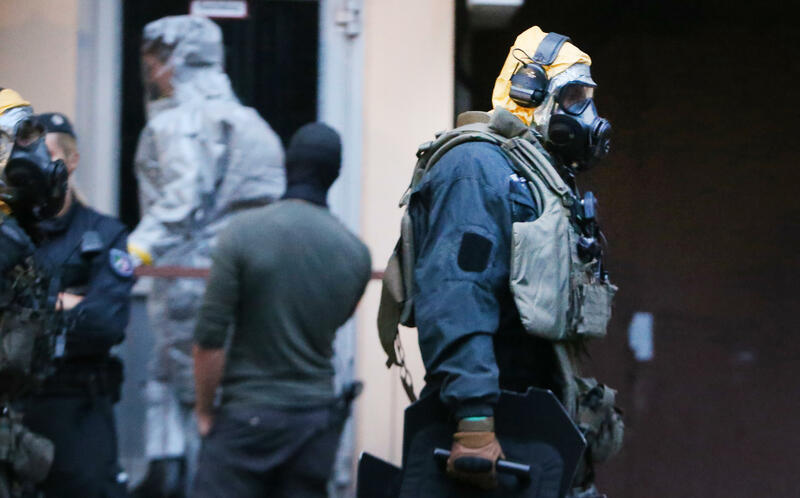 BERLIN -- Federal prosecutors in Germany have arrested a 29-year-old man for producing biological weapons at his home in the city of Cologne. Sief Allah H, a Tunisian citizen, is accused of using a coffee grinder to extract the deadly toxin ricin from castor beans. Ricin, a biological agent 6,000-times more powerful than cyanide, has no known antidote. In a statement, authorities said they suspected him of preparing for a "serious act of subversive violence," but they stressed there was no evidence yet to suggest he was preparing for a large-scale attack or that he was a member of any terrorist organization. An arrest warrant was issued on Wednesday, for an alleged violation of Germany's "Kriegswaffenkontrollgesetz," a law which prohibits the possession of some firearms and chemical weapons. The warrant alleges that Sief Allah H purchased 1,000 castor seeds over the internet last month, as well as an electric coffee grinder, and managed to create the deadly poison in June. According to German newspaper Bild, the internet purchases were tracked by the CIA, which alerted German authorities. Local daily Kölner Stadt-Anzeiger reported that Sief Allah H first came to Germany in November 2016. Der Spiegel said the suspect had been known to domestic intelligence services for some time, and had a social media presence that suggested ideological sympathies with Islamic extremist organizations. Citing security sources, the magazine also reported that the suspect made his purchases based on instructions produced by the Islamic State of Iraq and Syria (ISIS).